Irish Luck, Chinese Medicine has several love stories, one involves an Irish woman and Chinese man. As Immigrants they would have many things in common: fleeing oppression, escaping starvation and facing prejudice and violence. I didn’t know how they would find one another until I remembered that Irish and Chinese laborers built the transcontinental railroad. Food is a big part of Irish Luck, Chinese Medicine. sharing Characters in the book came to America to escape starvation and meals brought back the comfort of their homeland. In the book, aromatic Peking Duck is one display in the windows of Chinatown. Fill large pot 3/4 full with boiling water. Preheat rotisserie or oven to 375 degrees. Soak the whole duck in the large pot of boiling water. Remove it as soon as the skin changes color. Sprinkle the inside of the duck with sugar, salt, and five-spice powder. Rub the skin of the duck with molasses. Truss the duck with string and hang in an airing place for 2 hours, or put the duck in the refrigerator overnight without any cover. This will dry the skin of the duck so that it will be crispy. Bake for 45 minutes or until the skin is reddish brown. Before serving, pour hot oil over the skin to increase the crispiness. Carve the skin and meat from the duck, and serve. Molly Maguires: White or Black Hats? 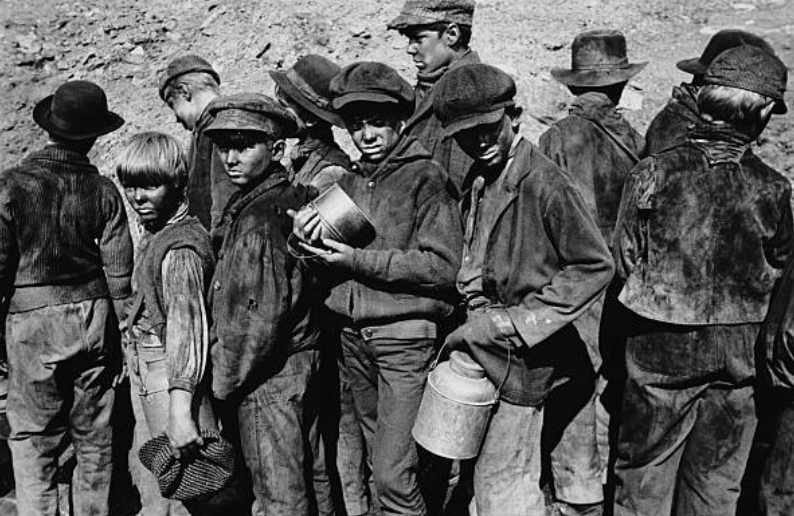 Child laborers known as “breaker boys” — one of many injustices of 19th Century coal mining. 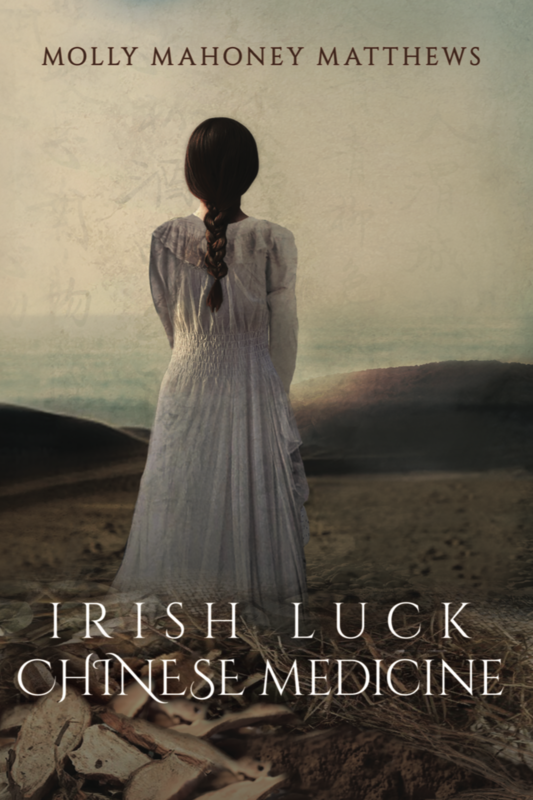 I struggled when writing Irish Luck, Chinese Medicine, about how to depict the vigilante group, the Molly Maguires. Were they downtrodden miners who had no option but to fight back against despotic mine owners and corrupt politicians? Yes. Were they men who perpetrated violence, murder, and committed terrorist acts? Yes. What was it like to descend into a dark mine six out of seven days, frantic to fill seven coal wagons (or you owe money to the company store.) The “breaker boys” depicted the book watch the miners eat sandwiches covered in coal dust, too tired and hungry to wash. The coal dust coated their stomachs and their lungs. What is it like to get sick from ingesting coal dust…or slowly suffocate with black lung? But what about the mine boss who loses his life when the bridge he crosses each day blows up one morning? What if you are the wife or child of that man who is brutally killed? I wonder if we can bring positive intention in areas of conflict in our world, society, community, family, and relationships? Next time I’m tempting to judge, what if I assume positive intention? Cook potatoes in boiling water about 20 minutes or until very tender; drain well and mash with skins on, adding milk and salt.While potatoes are cooking, melt butter in a large skillet. Add onion; cook 10 minutes, stirring occasionally, until very soft. Add cabbage; cook and stir for 5 minutes more or until very soft. Stir cabbage mixture and Kerrygold cheese into hot potatoes and season with pepper. Mound onto serving plates and make a well in the center of each. Pour a little melted butter into each well, if desired.